Pros: Realistic portrayal of young adult life made for easy resonance with the audience. Admirable effort from a cast determined to get their name out there. 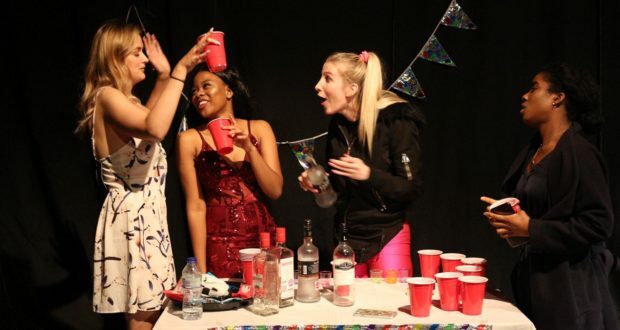 Lunar Theatre, a troupe who bill themselves as young female creatives, bring their well-rehearsed story of young adulthood to the cavernous cellars of Old Street’s Courtyard Theatre. There was no faulting how in-tune the cast was with each other – no surprise, perhaps, given that they are all good friends behind the scenes. The action takes place over the course of a pre-drinks session, which carries on like any other before-going-out party until the arrival of a friend they haven’t seen for a long time. 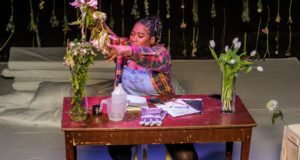 You may have thought that a seventy-minute play about social media and young women exchanging gossip might be a little unrelatable, especially for more advanced members of the audience. 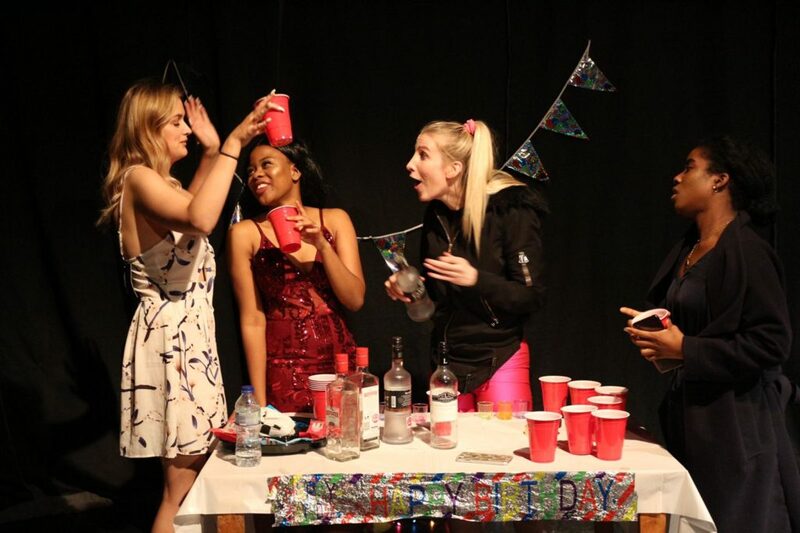 However, the cast managed to squeeze plenty of laughter out of the audience through their thoughtful musings on young adult life – with well-identified tropes including the obsessed girl who never stops talking about her boyfriend and well-prepped group selfies, both of which resonated with the diverse audience. But therein lay perhaps the production’s one major flaw – whilst it covered lots of ground, much of the run-time focused on topics that had either been covered in mass media, or were part and parcel of everyday life. 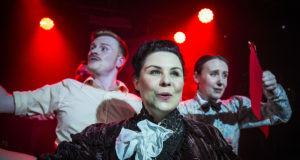 The subsequent effect on the audience – and for this reviewer and co-reviewer at least – was that we didn’t go away thinking about anything afterwards. Once the curtains come down, the cast came back onstage to give a ‘behind the lens’ moment – something like you’d see at the end of one the recent Attenborough documentaries where they dissect what the audience has just witnessed. Whilst this was an interesting touch, the messaging might have been better shared in some printed reading materials, rather than being read from a smartphone.